Did you miss our highly sought after webinar on Bank of the Future: Marketing, Customer Experience, and Video Banking? 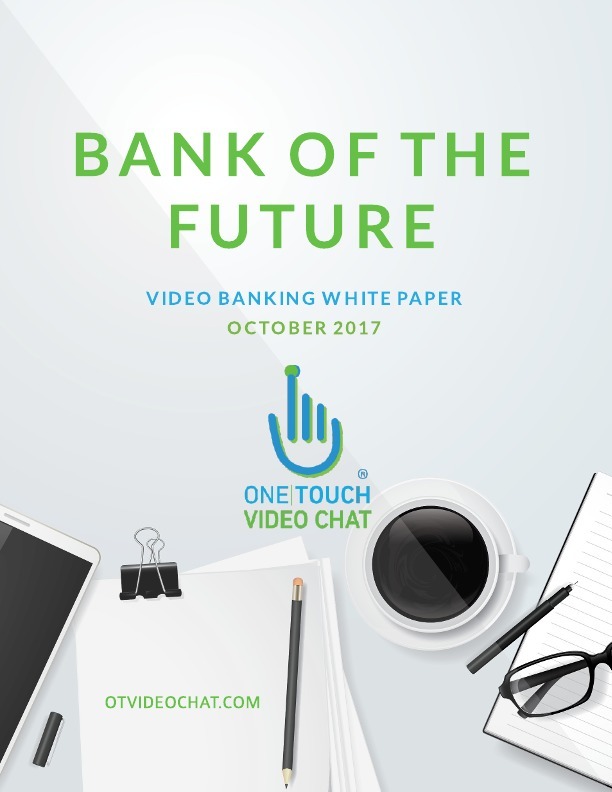 What you will learn in our Bank of the Future video and white paper. Traditional banks cannot go completely without branches. Executives should be thinking about a hybrid model when opening new branches, increasing the revenue of underperforming branches and how to win new customers across generations. In addition, to the webinar recording, we have a new White Paper. You can download them both here. Over the past five years, banks have built technology that is considered a MUST for consumers to do almost everything they need through mobile applications and/or online banking. This has created an “I only have to go into the branch when I have an issue” mentality. Traditional banks have already centralized functions such as credit cards, mortgage, auto loans and wealth management into centralized locations and/or specialty branches. The next logical step is to now offer this to customers and prospects through mobile video banking. It’s a win-win for both the customer and the bank, the bank still gets their face to face relationships and the customer gets their convenience /resolution. We have all heard about the rise in online or mobile-only banks. This is what is keeping banking executives up at night. Over $25B has been invested over the last four years in fintech banks. Each day more and more Gen Z’s and Millennials’ are making banking decisions. These are digital native demographics that want convenience and customer experience. If you want to hear what banking executives are saying about video banking and how it changes their bank of the future plans, listen to our bank podcasts.